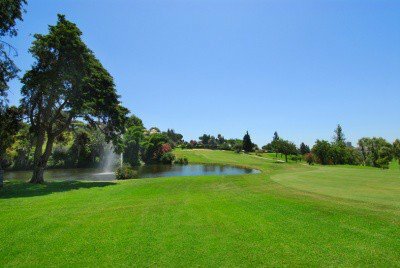 The course is mixed parkland in nature, and whilst mainly on gently undulating terrain there are a few slopes to climb. 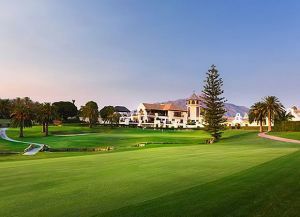 The course is quite tight and you have to winde your way through the trees and foliage lining the fairways, the water hazards and the well placed bunkers to ensure you have a good score at the end of the day. 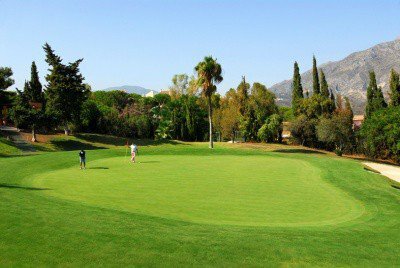 Aloha provides a good test of golf to all standards of golfers.Aloha Golf Club was created in 1975 in the location known nowadays as the Marbella Golf Valley (Malaga), one of the areas with the highest concentration of top quality golf courses in Europe. 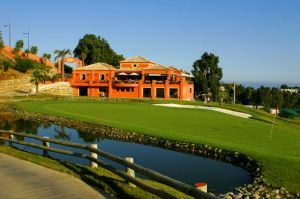 The course was designed by Javier Arana, one of the most prestigious designers of Spanish golf courses. 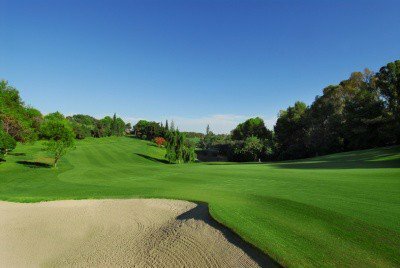 The high number of trees and obstacles rightly placed, the rough that complicates the stroke to the fairway and the peculiar greens, that are fast and uneven, allow the most skilled and strategian players get high performance of their game. HEADING WEST leave the AP-7 (E15) at exit 181a, and follow the A7 direction Estepona, initially through a tunnel. After 3.5 km take the Nueva Andalucia exit (opposite Hotel Pyr), and bear left direction Nueva Andalucia. At third roundabout take second exit (bear right of the cafe) into Calle el Califa. At next roundabout (Plaza Maestranza) take first exit (Ave del Prado). 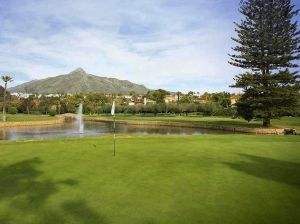 After o.9 km go straight over roundabout into Ave Valle del Golf. After o.9 km bear right direction Aloha Golf. After o.6 km turn right into golf. 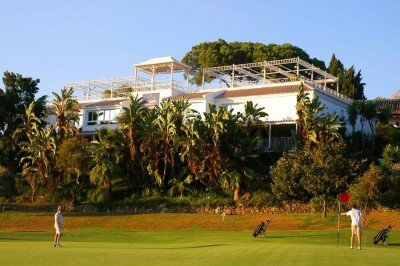 COMING FROM ESTEPONA leave the N340 at the La Medina de Banus / Los Naranjos exit, approx o.4 km after Nueva Andalucia, in front of the Hotel Pyr. Go back under the N340 via small tunnel (4th exit from roundabout) and follow above route description. 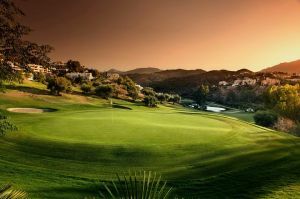 Aloha Golf is not yet in our pool of Golf Courses for orders.